If you know me even just a little bit, chances are you know that I have a slight obsession with the Harry Potter book series. I blame whoever bought my cousin Harry Potter and the Goblet of Fire for her birthday. I remember picking up the book, reading the summary, and thinking it sounded interesting enough to read. I also remember that it did not take me very long to get through the four books that were published at time, and I was hooked. Fast forward seventeen years, three books, nine movies, Universal Studios Wizarding World of Harry Potter trip, owning the books in multiple languages, a ton of merchandise, a couple of trips to the United Kingdom, one Harry Potter themed Winter Vacation Bible School, and so much more later, I am still fascinated by the world created by J.K. Rowling. It certainly helps when you have friends to share an obsession with you. 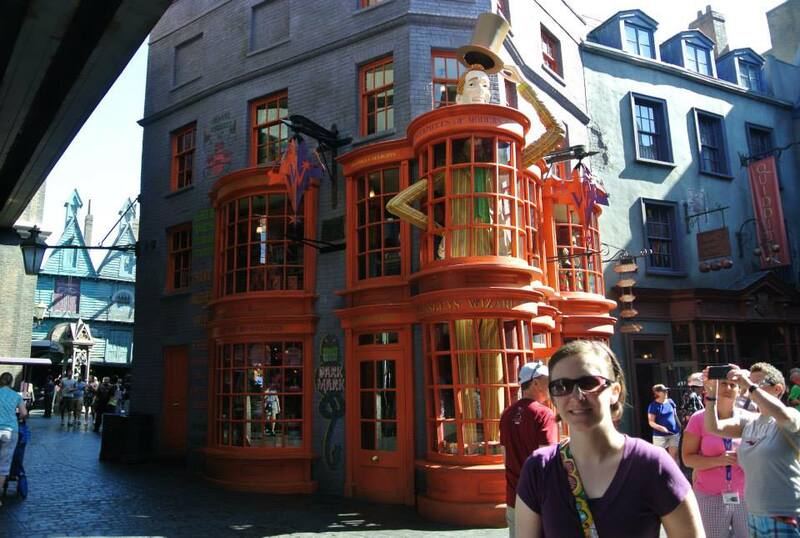 I met Tricia Lyons during my time at Virginia Theological Seminary, and I have gotten to know her a little better over the last couple of years through a mutual friend, who also happens to love Harry Potter. I have experienced Tricia’s knowledge and love for both the gospel and Harry Potter through a sermon preached at our friend’s wedding and as a part of a Facebook group that was gathered to cheer her on while writing the book. I am so excited that she has agreed to come and share this knowledge and love with us in just over a week. I believe that both fans of Harry Potter and those interested in how this cultural phenomenon ties into the messages of the gospel will enjoy the event. Please consider joining us to learn more! It is an open event that is ideal for elementary school age and up – yes, adults too! This event is for all ages, elementary school to adults! The Rev. Dr. Patricia (Tricia) Lyons will share aspects of her new book, Teaching Faith with Harry Potter, by exploring the connections that the Harry Potter series has with faith formation for all ages. This event will also include Quidditch, Harry Potter trivia, treats, and more! Please join us! For more information and to register for Saturday’s event, visit www.ststephens-fairview.org. Tricia will also preach at St. Stephen’s on Sunday, October 15 at both the 8:00AM and 10:00AM worship services. Come hear how she connects Sunday’s scriptures with Harry Potter. If you have questions, please contact Missy Greene, missy@ststephens-fairview.org. Wands, broomsticks, and Harry Potter wardrobe are encouraged. Please leave your cats, rats, and toads at home. The Rev. Dr. Patricia Lyons has spent twenty years teaching ethics and theology in Episcopal schools and seminaries. Author of Soul of Adolescence and numerous articles and book chapters on moral and spiritual development theory, her passion for melding pop culture and faith formation has made her a sought after speaker across the Episcopal Church and beyond. She had a Master’s of Divinity from Harvard Divinity School, a Doctor of Ministry from Virginia Theological Seminary, and is the found of the C.S. Lewis Society of Harvard. She lives in Alexandria, Virginia and is the Missioner for Evangelism and Community Engagement for the Diocese of Washington. You can also follow her on Facebook as the Hogwart’s Chaplain. Missy Greene is the Associate for Christian Formation at St. Stephen’s, Fairview. 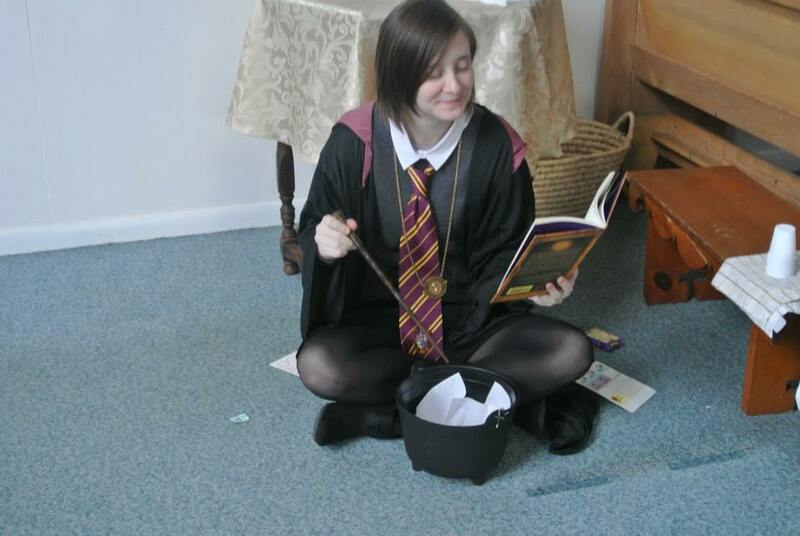 This entry was posted in Events, Youth and tagged Faith, Harry Potter, Harry Potter and Faith, Missy Greene, Rev. Dr. Patricia Lyons, St. Stephen's. Bookmark the permalink.